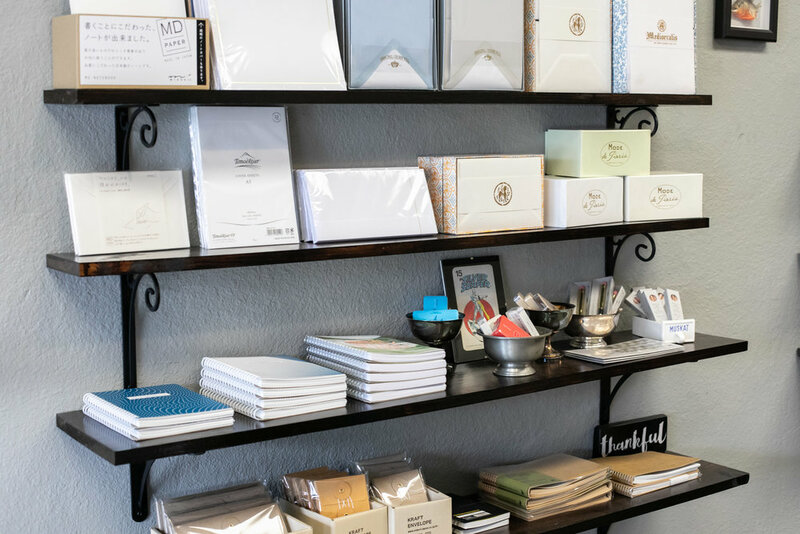 This month we decided to hold our July Seattle-ish Pen Posse Meetup at Paperquirks, a newly updated stationery store in Poulsbo, WA. We timed it so we could visit during their open house. Owned and operated by the Gault family, located at 18850 Front Street NE, Suite B, Poulsbo, WA. The store is a super cute space. I love visiting stationery stores, so it's probably a good thing this store is a bit of a drive for me, otherwise I would visit way too often. One of the very first things I noticed is the hand-written price signs. I love this. One wall is full of poster prints. Out of all of the posters, this one is my favorite. 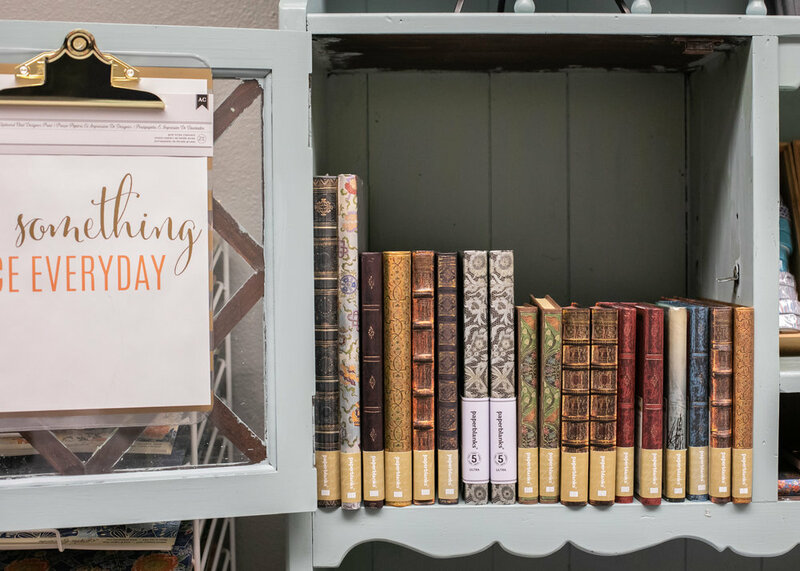 A cabinet full of Paperblanks notebooks. There is a good selection of stationery-MD paper, Tomoe River, Travelers Notebook, G. Lalo, and more. In the past year I've become obsessed with wax seals, so I love seeing them in stores. I fell in love with this snoopy zip pouch, and wish I had bought it, because it's adorable and I have a weakness for pen pouches. I was so happy to see Zebra Mildliners, mainly because they are one of my favorite highlighter brands. Gel pens, mechanical pencils, and even some watercolors. I always get excited to see fountain pens in store, mainly because it's so rare in Washington state. There is a cabinet full of fountain pen ink, mainly Noodler's and J. Herbin. Lisa Vanness, from Vanness Pens, came and did a trunk show. I love seeing Lisa because she always brings some fun nibs for me to try. This time I got to try the new Pineider La Grande Bellezza nibs. This month we had around 20 people show up for our meetup to talk about pens. At Pen Posse Meetups, there is always a pile of pens to try on the table. This month I also had some bottles of ink from Straits Pen for everyone to try. This week is Matt's birthday, so Lisa brought a cake and we had a mini birthday party at the same time. As part of the open house, Paperquirks did a raffle, and I won a set of the new Field Notes release. My husband already stole one out of my pack. I went a little paper crazy, and picked up a Paperblanks notebook, a MD paper notebook, a Blackwing Slate notebook, and a Traveler's Company Kraft notebook. I found a few postcards I love, especially this green one. I'm excited to try out this stationery from G. Lalo, especially since I've had lots of requests for stationery reviews lately. If you are in the area, definitely stop by Paperquirks for a visit, and if you live in the area, consider coming to a Seattle-ish Pen Posse Meetup. Disclaimer: This is not a sponsored post. All photos and opinions are my own. There are no affiliate links on this page.